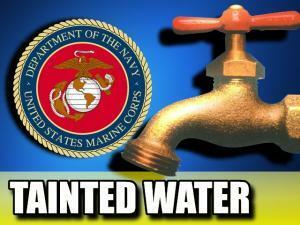 Military bases are notorious for their water pollution issues because chemicals are available in great supply. An unusual water pollution issue popped up this month when Camp Lejeune (NC) was forced to shut down one of its water treatment plants after about 8 pounds of mercury was found in a pipe in the facility. Lejeune spokesman Nat Fahy said elemental mercury was found in the pipe at Hadnot Point Water Treatment Plant during maintenance. Tests did not reveal mercury in the drinking water. The plant will remain closed until repairs are completed. Mr. Fahy says about 1 pint of mercury, weighing 8 pounds, was found. Water pressure meters containing elemental mercury were removed from the plant in the 1980s and replaced with digital meters. Elemental mercury is found in items such as thermometers, dental fillings and fluorescent bulbs. Mercury in elevated amounts is relatively rare in drinking water supplies.